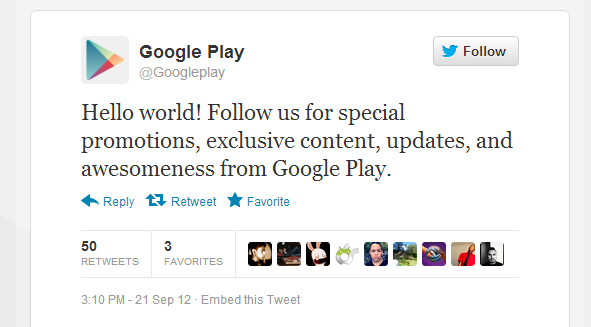 Google has opened an official Twitter account for Google Play. According to their first tweet, you can expect to see tweets of special deals and promotions that are running in Google Play. Awesome.